Engineered for progressive, style-smart young riders, 686's Girls Scarlet Snowboard Jacket keeps her prepared for powder and park days. This jacket combines 10K/10K waterproofing with a super-warm mapped synthetic insulation system. A helmet-compatible hood, attached powder skirt with jacket-pant connection and critically taped seams close wind and moisture out from every angle. The Youth Evolution™ system lets the sleeves out to increase sizing. 686 brand is consistently great! 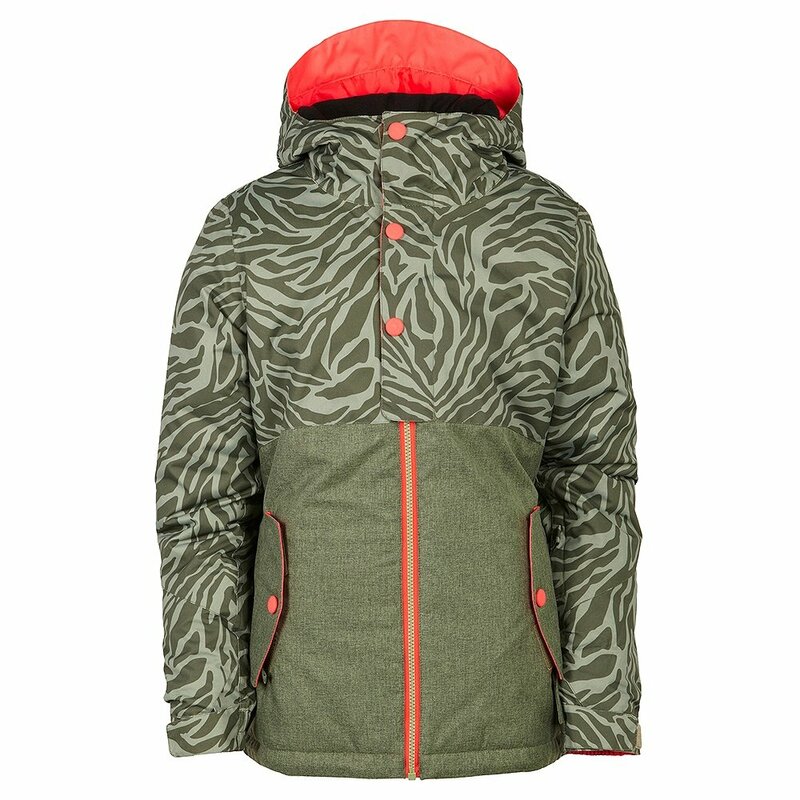 This jkt will provide many days of warm dry days on the mountain.